His degree in Psychology was the first step toward getting beneath the surface of the people in his life. What followed was a lifelong search for what makes people tick - what forces them to become evil when deep down in their heart of hearts, they are yearning for love. Rob's characters walk this search with him, deep into the human psyche, creating psychological thrillers from every day events. 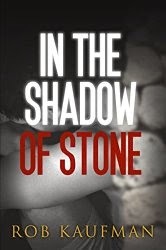 Rob's first book "In the Shadow of Stone" continues to receive great praise and is selling well in both electronic and paperback formats. 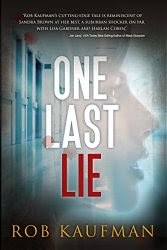 His current book, "One Last Lie" is much darker than his first, with characters who hold bits and pieces of strangers he's known, friends he's had and lunatics he's only read about. "This book hits home for me," says Rob, who has been with his partner for 25 years. "There were a few pages that made me laugh out loud as I wrote them... and many that made me cry. And the great thing is, I'm finding that many readers of this book are experiencing the same emotions." 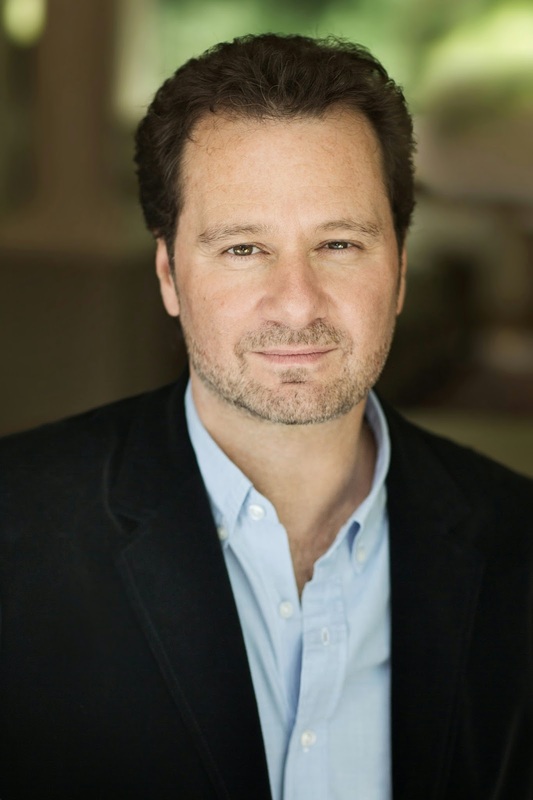 Through social and other media, Rob hopes to get "One Last Lie" into the hands of millions, so that they, too, can experience the ups, downs, twists, turns and final tragedy that has helped make this book a Five-Star contender. "Get Up! I Can’t. I Will. I Did…Here’s How!" by Rodney C. Flowers transformational book is now in an ebook version. Have you ever felt as if you’ve taken such a body blow that you might not be able to bounce back? If you have, you’re not alone. However, now you can be among those who have the strength to kick adversity aside and come back stronger than ever! In "Get Up! I Can't. I Will. I Did…Here's How!," author Rodney C. Flowers delivers a true-life account of his own inspirational recovery from a paralyzing high school football injury in 1993. Through, resilience, determination and unwavering strength, Rodney Flowers overcame insurmountable barriers to rise up from his wheelchair and walk tall again. You'll learn how to overcome obstacles and challenges in your own life, so you can live with purpose and achieve your ultimate potential. Turn adversity into opportunities to make yourself better than before! Audio - Helping You Get Up and Achieve More. 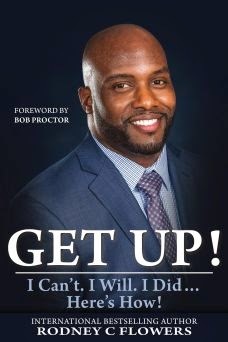 Rodney Flowers will inspire, motivate, and encourage you to never give up and to reach for your hopes and dreams, regardless of your current limitations or challenges. The principles he provides will give you the tools to "Get Up" and achieve higher levels of success than you ever imagined possible. PLUS, you'll also receive HUNDREDS OF DOLLARS worth of additional BONUS GIFTS! Research shows that most people are unsatisfied and unfulfilled with their goals. I’ve found the same thing with business owners specifically. They stop themselves from dreaming big because they are simultaneously judging “how” they are going to make it happen. So they don’t even bother. So what ended up happening? They are unhappy with the goals they do set for themselves. It makes total sense. They aren’t allowing their true desires to come forth, thus feeling resentful and deeply unhappy. Do you want to be one of those people? Are you one of those people? Have you let yourself dream so big you get lost in the excitement of it all? What if you let go of the “how”? Not for long, but just for a few minutes. Where during those few minutes you let yourself really go for it. Where you allow yourself to let those secret dreams and desires come to the surface. If money weren’t an issue, what would you really be doing? If you had more time, what would you do with it? What if I told you the “how” isn’t actually up to you? At your core you already are abundance. Where love and peace are your birthright, where the means to do just that is available through something bigger. Where your security is taken care of. That’s right, I said it. Where your security is taken care of. Where you don’t have to worry. You can just be. Where you can live more, love more and play more. You can. First, you just need to believe it might be possible. Second, you need to dig out any beliefs holding you back from doing this. We are pre-programmed with a lot of limiting beliefs that are based in lack and basically of the ego. Don’t let them stop you any longer. You can achieve all of your Heart’s desire. You just need to know how to tune in and listen to your inner guidance. 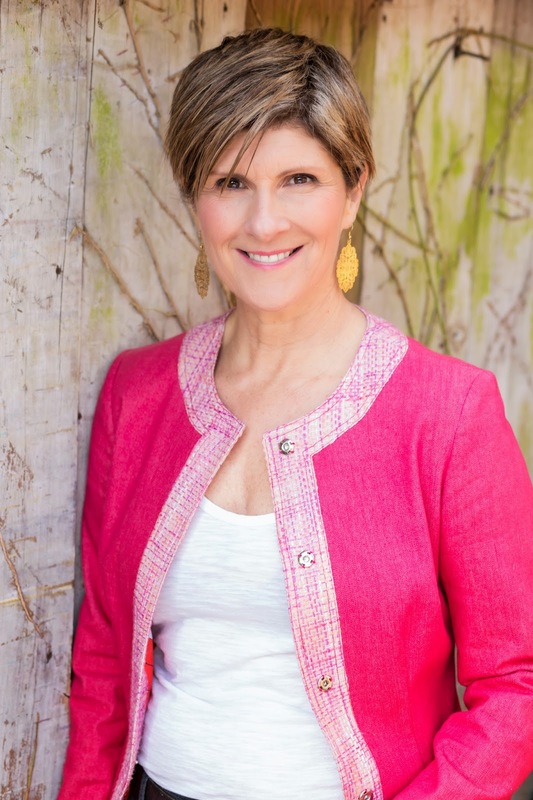 Christine Monaghan is creator of Daily Life Mastery and the Daily Life-Mastery Card Kits; host of Entrepreneur Conversations Radio; and author of HeartBroke, An Entrepreneurs Journey from Near-Death to Possibilities. Christine’s background involves: raising millions in sponsorship/sales; co-production in 80,000+ attendee world-class events; and, conceptualizing and building her own self-discovery event property with 300+ international presenters. If you're running your own business, you're going to have days, weeks, even months, when Life shows up and shifts all of your best laid plans. Of course, the beauty of being your own boss is that you have a great amount of freedom and flexibility, so how do you roll with it when all those plans go awry? Planned on getting that sales page done? Wanted to finish writing those final chapters of your book? Hoped to attend a networking event? Set up to shoot that video series? Write your new free taste? Offer a new program? But then Life threw a wrench into your plans and so nothing happened. A child or a parent is sick and needs you, your computer died, you got the flu, your child is having trouble in school, you've had a fight with a loved one, or some other emotional or physical upheaval has occurred. I'm a planner, and I've learned, especially once I had children, that things don't often go to plan. And if I don't want to be frustrated and stressed, then I need to be flexible and patient (and yes, that's still hard sometimes). The only thing you can do when your heart, mind and energy is needed elsewhere is to go with it. Let go of the plan and go where you are needed. I want to share with you one of my secrets to my enduring success that you can apply when your plan gets knocked off-track or you find yourself with little time to work on your business. What's the ONE THING I can do today to move my business forward? When you simply don't have the capacity or the time to work your plan, there is often one thing that you can do that will make you feel that you accomplished something in that day, which will help to fortify you moving forward. Of course, sailing more smoothly through troubled waters requires support - family, friend, colleague, mentor, and business assistant support. When Life is tumultuous, reach out for the support you need to help you through. Whether it's a shoulder to lean on, a vent session, an emergency call, or adding another team member - reach out and support yourself by asking for whatever kind of help you need. 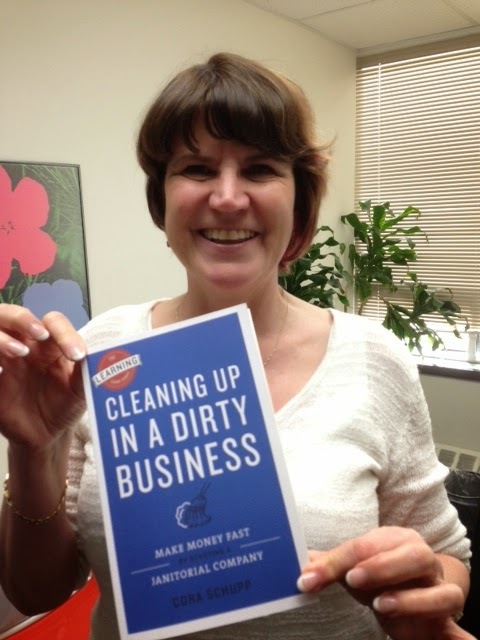 Title: "Cleaning Up in a Dirty Business"
In Cleaning Up in a Dirty Business, bookkeeper and entrepreneur Cora Schupp offers a straightforward solution for you to gain control of your career and increase your earnings. Cleaning companies can be very stable and profitable, and they require minimal start-up costs. About the Book: Leaving no corner undusted, Schupp guides you through everything you need to know about starting your own cleaning company—from how to land your first big client to hiring the right staff and marketing. Sparkling with wit and encouragement, Cleaning Up combines practical advice with fun cartoons and Schupp’s personal stories, including common problems you might face and how to over- come them. An easy-to-follow action plan helps you break the barrier between dreaming and action—and tidy up when you’re done. As a bonus, you will receive free downloads of all the tem- plates you need to start your small business, from budgets to cleaning checklists. WITHIN YEARS OF building both a janitorial service and janitorial supply company from scratch, Cora Schupp quickly found herself among the top five percent of female wage earners in Canada, holding competitive contracts with dozens of department and grocery store chains as well as managing a staff of more than 100 people. After selling both successful businesses in 2005, Schupp settled in New Westminster, BC, where she currently performs professional accounting and bookkeeping services for a variety of clients, including Learning Curve Series founders Curve Communications Group Ltd.
About the Author: Besides having raised a family, run two janitorial companies, and being currently self-employed doing bookkeeping and accounting, Cora Schupp is a published woman author. The book was written for people who want to start their own business, and give them the information and focus they need, from someone who had already successfully achieved that goal. It is part of Curve Communication’s “Learning Curve” Series. Deborah Bailey: Glad you could stop by and share some details from your new book. First of all, is this book a guide for starting a janitorial business? the reader how to conceptualize and start from the ground up, helping each step of the way. I am especially proud of the business templates I created on coraschupp.com, where the customer can download spreadsheets and documents free. Deborah: That's great. What gave you the idea to create a book to help others start this type of business? Cora: I always wanted to write, and so many things happened to me during the 20 years I ran a janitorial business, that no one would believe me – truth is stranger than fiction Too often women are told that they can’t do something, or that it is too hard. Let them find their strengths out for themselves, and if I can be a mentor, even better. Deborah: Any challenges in writing this book? Deborah: Any tips to share with someone who wants to be published? and come up with a shoddy finished product. Deborah: Being a writer myself, I'm always interested in finding out how other writers like to work. What's your writing routine? bookkeeping, and may write another book in the Learning Curve Series in that field. Deborah: Can you share an excerpt so readers can get an idea of what's included? WHY OWNING A JANITORIAL COMPANY IS A GREAT IDEA! After years of running a janitorial service company, I found myself among the top 5% of female wage earners in Canada, earning $90,000 per year in 2004 (and my husband pulling an equal share) with no postsecondary education. I had contracts with a chain of department stores and 13 grocery superstores. I had over 100 employees working for me and was my own boss. I built my company from scratch – and so can you. How did I get my start? Newly married in a small northern town named Kitimat, BC, in the late 1970s, my husband and I scraped together a down payment on a house by doing janitorial work in the evening. The contractor who built our house also had a janitorial service, so we both worked full-time during the day and rushed to our evening jobs after a quick dinner. We dreamt of moving to the Lower Mainland of British Columbia, where there were better educational opportunities for our children, more social and cultural advantages, and better weather. After a couple of years, we decided that the only way we could leave Kitimat was to gain some experience owning a small company. We started cleaning apartments that had been vacated, then we moved on to construction cleanup, before finally picking up a couple of small contracts. I was nine months pregnant when I dropped off our first signed contract! It was for cleaning the offices of a natural gas company. I did all the bookkeeping for our small business, which included payroll, taxes, Workers’ Compensation, etc. ad infinitum. Eventually we sold our company for a healthy profit and took the plunge to the Lower Mainland. We moved to Surrey, BC, in 1986, right before the World Exposition, or EXPO, started. We bought a small existing janitorial company that included an old truck, a buffing machine, some odds and sods of mops and buckets, and two little contracts. Buying this company turned out to be a good investment because we did such a great job that the clients were happy to be our references. Within three months we were grossing $10,000 a month. From these small beginnings, we took on contracts with the chain stores. We were able to save for our retirement, educate our children, own a lovely home with property, and we still had time to travel. your own business but didn’t know where to start. If you use my model for success, you will be well on your way to becoming a business owner. The type of person who had “to do everything the hard way,” I can save you not only money but also a lot of stress and heartache by sharing my own experiences. Deborah: What inspires you to do the work you do? on that same road of success. Mentoring others is my philosophy in life. Deborah: Where can people find your book? Cora: My book is available on the major retail sites. Deborah: Thanks again for sharing your book with us. Please share your website and social media URLs. Cora: It was a pleasure! I invite you to look at my microsite: corashupp.com. Many people don’t realize it, but the best source for speaking gigs is right under their nose. It’s their next, upcoming speaking event. In fact, three different parties at that engagement have the potential to refer you from that gig into many more—or even get you booked on the spot. Your audience is one of your richest sources for leads. Just think about it. Most people in your audience attend multiple groups and gatherings, many of which need speakers. To enlist their help, often all you have to do is ask. For instance, when I was just getting started, I spoke in Tucson to 30 people. At the end of my talk, I asked the audience to raise their hands if they knew of other groups that could benefit from my message. Twelve people raised their hands. From those 12 referrals came my next 4 gigs. When you speak, your audience is the best place to source your next gig! The host of your speaking engagement is another rich source of leads. Hosts can refer you to other chapters of the organization, other organizations that they network with, or even other speakers who present to similar audiences. Few people do this, but you can also ask for a letter from your host, attesting to the power of your talk. This is a great testimonial to show to a host who is considering booking you. For instance, a couple of years ago, when I spoke at eWomen Network, the founder and host introduced me to the leader of a group that serves African-American Entrepreneurs. They were looking for someone with my expertise, and, because of that host-to-host introduction, they booked me. In fact, I ended up being the first white speaker they’d ever had at their conference. If you’re concerned about competition, don’t be, because, generally, once a speaker has presented somewhere, they won’t be back for a while. So you both have everything to gain by sharing referrals with each other. If you love what you do, but hate the "sales part," sales conversion expert Lisa Sasevich will show you how to attract new clients, expand your reach and grow your profits with no additional time or marketing budget...and without being salesy. Get your FREE Sales Training and Sales Nuggets now at www.FreeSalesTrainingFromLisa.com. She Laughs. She Plays. She Thrives. She Soars! This is Sheria's motto. Sheria's passion is threefold in which she loves working within the women ministry, marriage ministry and teaching entrepreneurs how to create and run viable businesses. 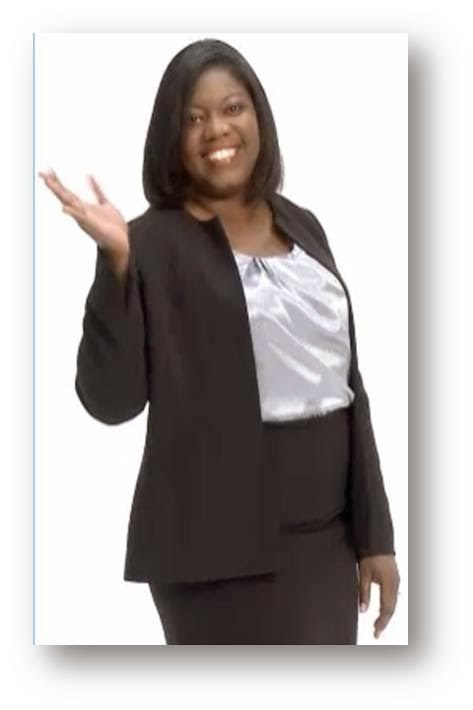 Sheria is an energetic and enthusiastic individual who has been retained as a Thought Leader and Business Strategist for several organizations traveling and teaching both nationally and internationally. She is the Founder and Managing Director of She Soars (one of the fastest growing women professional and entrepreneurial connections), Cast Your Pearls Philanthropic Benefit (which honors cancer survivors and extraordinary caregivers) and She Soars Above Youth (empowering youth in the education school system to become intentional about the choices they make and the relationships they build). Today you will also find Sheria conducting leadership and public speaking training to organizations in the financial district and Wall Street (NYC). Sheria is naturally optimistic. She is a lover of people, an encourager and supporter. She Soars is one of the fastest growing professional women networks where lives are empowered and great friendships are created by building strong alliances and collaborating with women who want to: fulfill their dreams of owning their own business or turn a hobby into a revenue generator. She Soars currently have networks throughout New York City (Manhattan, Brooklyn, Bronx), Long Island, South Carolina, North Carolina and Puerto Rico. I had something interesting happen this week, and I’m sharing it because I don’t think a lot of coaches / mentors are always sharing real business challenges. It isn’t always rosy and magical with butterflies, even for industry leaders. There are challenges and it is all about how you handle them that will make or break you. I had someone actually threaten to report me as fraudulent recently. This was all over a payment under $100.00 I might add. To be honest, it wasn’t so much the amount that bothered me, but the way this person behaved. I haven’t witnessed behavior like this since my insurance days, where people were trying to sue our corporate clients for everything under the sun. We definitely saw the greed come out in people. Unfortunately, this particular person was using scare tactics and bullying to get their own way. Sure, I’ve had some people want refunds in the past. One person even made a charge back (where one has their credit card carrier reverse the charge), and told their credit card carrier they never authorized the charge even though there was a signed contract in place. It happens. C’est la vie. Read on to learn more and how to move through these situations. I share these stories with you so that you can rest assured that these issues are normal, and will unfortunately happen more often the larger your business grows. It’s okay. Do not take anything personally. If you uphold your business values and ethics to the best of your ability, then you have nothing to feel badly about. And, if by chance you don’t; make amends if possible, forgive yourself, learn the lesson and move on. Here are 5 knowledge nuggets to help you move through these situations. 1. If you are a coach, or other similar type of service provider, know that your clients are responsible for their results. Actually, this applies to other businesses and our society in general to be honest. Most people are looking to blame someone else for their situation or circumstances. YOU create everything happening in your life. Your thoughts are responsible. The faster you can accept that, the faster you will start seeing the results in your own business. If you’re not where you want to be, then ask where your thinking is off. What do you need to believe instead? If a client isn’t getting the results they want, this is because they aren’t doing what they need to do. As a coach, you cannot do the work for them. You can guide them, but they have to be open and willing to do whatever it takes to get the results they want. This also applies when they ARE getting results. You are not responsible for this either! They have done the work, and you have guided them. Let them be 100% responsible both ways. 2. Also with accepting responsibility, is it’s close cousin, don’t take things personally. Recognize that each person is operating from their own belief system and paradigm (how they are seeing the world). You can’t possibly know what is going on with someone and how they’re making decisions at any given time. Especially if you don’t have the opportunity to speak with them directly. The person I mentioned could be having money or relationship issues with their spouse and is acting out based on fear. Who knows? Recognize that you only have control over how you respond. You get to decide whether or not you will let someone’s comments bother you or not. I can tell you that if this had happened a few years ago, I would have stewed about the “unfairness” of it for days, probably even weeks. Instead I shrugged it off within 10 minutes. I still dealt with it, but I was unattached emotionally. This enabled me to think more clearly about my course of action and therefore response. 3. Look at why this is coming-up for you. What is the lesson? The lesson might just be to practice responding versus reacting. If a similar type of issue is repeating itself, there is likely a bigger lesson to learn. What is it? What do you need to let go of? 4. Letting go. Even if this person is 99% wrong in your mind, is it worth pursuing? Know that it is likely causing a huge distraction from what you really need to be focusing on to grow your business. Is this where you really want to focus your time and energy? Getting stuck in what is “fair” and “the principle” of it can eat you up inside. Now it might be worth it. You get to decide. If not, write it off as just being part of business and do what you need to do to move on. 5. Relax and notice the peace you feel within when you approach disgruntled people in your business (and in general) in this manner. Letting things roll off your back is a much calmer (and a less dramatic) place to be. Written by Chris Atley, Success Coach for entrepreneurs. Join Chris to discover your true worth to increase your personal wealth. Create your ideal business by grabbing my Live Limitless Guide for free at: http://chrisatley.com. As entrepreneurs, we pride ourselves on our individualistic natures and the strength it takes for us to show up every day and run our businesses. But once we step into a big role, even we can’t escape those humbling moments where we come face to face with our inherent weaknesses. Some of us are brilliant at motivating our team, but we get a little sloppy when tending to little details. Others shine at ironing out inefficiencies, but aren’t so good at big-picture innovating. These inconsistencies are what make us human. And while it might be hard to fess up to our weaknesses, bringing them to light is exactly what we need to do in order to make sure our businesses succeed. 4. What’s your ideal way to brainstorm with your team? Your strength is: you trust your instincts. This confidence allows you to think on your feet, and it carries you through the inevitable uncertainty that comes with running a business. Your weak spot is: you let your emotions drive your decision-making, which might feel good in the moment, but could alienate you from your team and your clients. Work on staying focused enough to communicate your ideas properly, and try to engage a bit more to make sure that your projects are on track and things are running as smoothly as they could be. Keep in check: Your ego, which clouds your judgment often. Your strength is: you are a natural team player. You probably have a tight-knit team that feels like family, and your sincere nature forges solid client relationships. Your people skills allow you to shine at business development. Your weak spot is: You second-guess yourself quite often and place important decisions in other people’s hands. Work on trusting your instincts a bit more, and don’t be afraid to take the reins in situations where you must lead your team. Keep in check: Your people-pleasing tendencies, which can undermine your leadership position. Your strength is: you are highly organized and your business appears flawless. You run a tight ship and aren’t afraid to roll up your sleeves and dig in whenever and wherever necessary. Your weak spot is: you can’t let go, and it’s likely that you’re tearing your hair out behind the scenes to make sure everything’s running perfectly. Work on delegating a few tasks to someone else, and be patient as you train them to become the right hand you need. Keep in check: Your inability to handle uncertainty, which is very likely preventing you from moving your business to the next level. Question: After you take the test, sound off in the comment section below. What can you do TODAY to improve upon your weak spots? 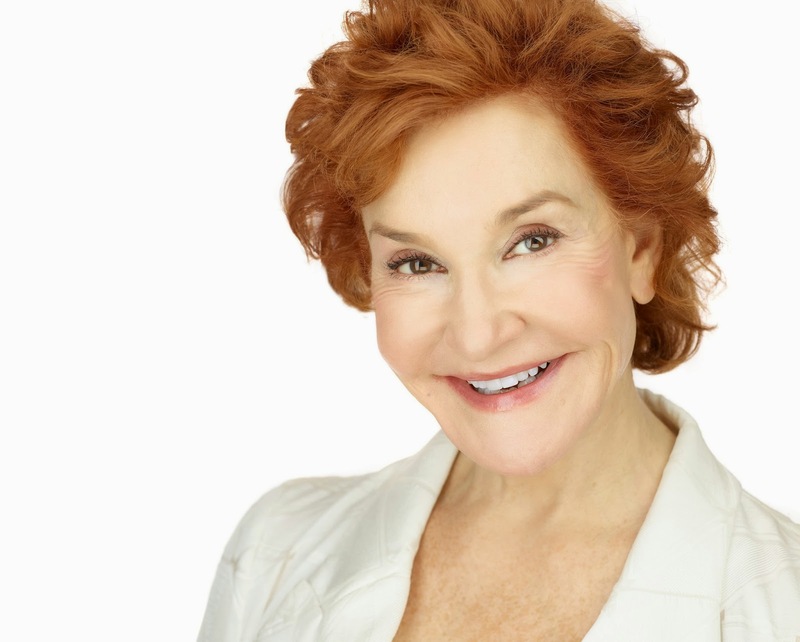 Karen Berg, CEO of CommCore Strategies, is a communication strategist and international speaker who has trained thousands of professionals for crisis management, shareholders meetings, management presentations, government and expert witness testimony, product launch campaigns, media interviews, and more. Her views on communications issues are featured regularly in The New York Times, The Wall Street Journal, Forbes, Redbook, Working Woman, McCall's and other publications.